Folk music to electronic, music can and has as the adage goes set the mood. Now in the case of the saying it refers to romance but that isn’t all it is limited to. Soothing music is an area often studied and the findings reveal that music affects our brain waves. Becoming “calming songs.” The studies suggest that music played at certain frequencies has the ability affect brain wave patterns. These can elicit feelings of sorrow, anger, gratitude and most importantly, calmness. A study in 1990 showed that the genre of music affects our perception of the environment around us, including other people. Another study in 2002 showed that calming music improved a student’s performance at arithmetic problems. Holy windchime Batman! Some composers understood that songs for brain waves was a possibility. A manipulation of our feelings, thoughts and emotions using auditory stimulation. This isn’t so far fetched, think back to a time where a certain song brought back childhood memories, or that of a first crush. As such a song called Weighless was composed by Manchester Trio. This song was composed over long slow patterns, to gently calm the mind and reduce mental activity. You can find it here, but please do not drive or operate heavy machinery or perform any activity which requires your rapt attention. Studies of this song revealed that there was a 65% reduction in overall anxiety in the participants who listened to this song in the lab. Additionally, in the study, more so than any other song, this song was reported to be 11% more soothing. Moreover, the song starts at 60 beats per minute and reduces to 50, this corresponds to the listener's heart rate dropping and syncing with the song. This has often been replicated in Ayurvedic treatments. Music therapy has often been used to balance dosha imbalances. 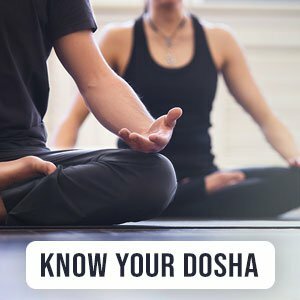 To find out your dosha take our quiz here. In Ayurveda, it is believed that Indian ragas are specifically healing in nature. Allowing for the mind to calm down and harmonize with the frequency of the music being played (sung). In addition, the vibration pattern of music can stabilize the body’s internal vibrations as well. This is often seen in Buddhist chanting rituals. Music therapy has arisen as a form of supplemental therapy for pain, loss, depression and anxiety (among other ailments). As it is often said, music soothes the savage beast.